It has been hot the past few days- I mean 90 degrees kind of hot! So, it’s only appropriate to make a refreshing drink to enjoy while cooling down. Our mom got a giant bag of lemons at Costco the other day, which is stuff mart of real life since you can get everything there (skip in the video to 0:24- if you ever saw Veggie Tales then you will probably appreciate this! If not, well, I guess don’t watch it…!). Anyway, to be extremely cliche, when life gives you lemons you make lemonade. So we did! 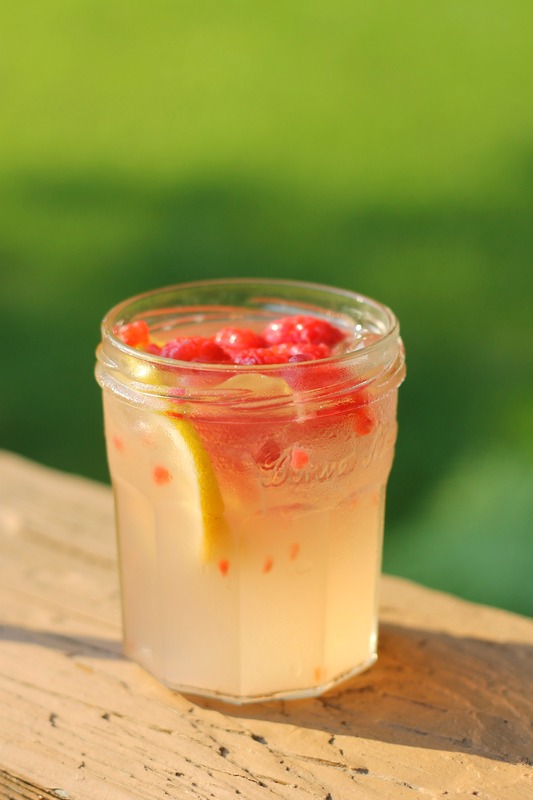 This lemonade is kicked up with some fresh raspberries stirred in and hits the spot perfectly on a hot day. Enjoy! Juice the lemons and pour the juice into a large pitcher. Mix together the sugar with 3 cups water and stir until it is dissolved to make a syrup. Add the syrup to the lemon juice and add 8 cups of water. Taste to see if more sugar or water needs to be added, and then add the raspberries and stir in (keep in mind that as the lemonade sits, it will take on a pinker hue/more raspberry flavor). Mix the lemonade together and let chill in the fridge.Fill glasses with ice cubes and pour in the lemonade. 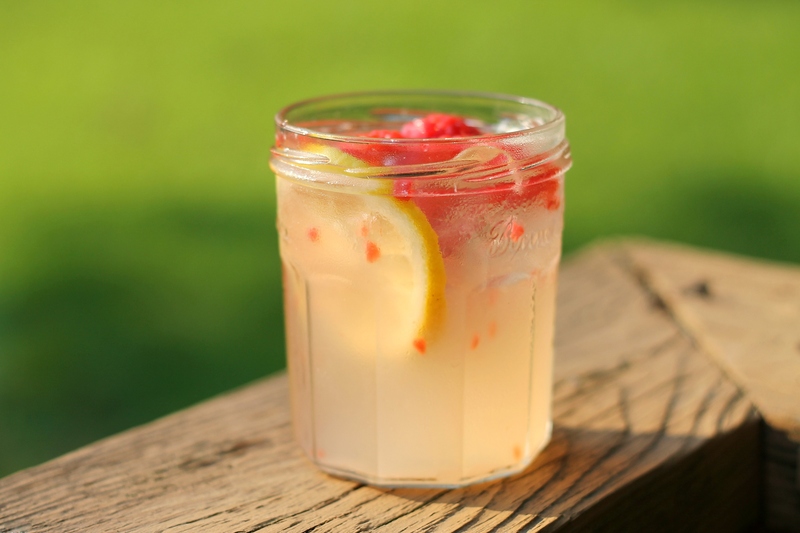 We recommend drinking the lemonade with a straw and then eating the lemony raspberries at the bottom with a spoon. Enjoy!